2011 promises to be filled to the brim with economic events in Russia. This year will see several major, long-term projects completed. We need to keep track of them, since they have the potential to change the lay of the land globally and/or in a whole range of local markets. 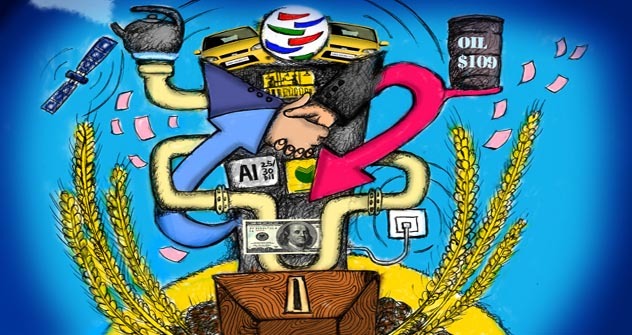 The main anticipated event of the year will be Russia’s 17-year long track toward joining the World Trade Organisation (WTO) finally coming to a close. Although many formalities have already been sorted out (all the contentious issues with the United States and the European Union, the organisation most influential members, were settled in 2010), opinion is still divided in Russia itself over whether it is wise to join the WTO. Russia has discussed long transitional periods for its main industries and sectors, but only practical experience will show whether it has succeeded in anticipating all the microscopic details and whether it shall need to review the direction of the economy’s development again in the future. The energy supplies chart from Russia to Western Europe will start to change in autumn 2011. The first stretch of the Nord Stream gas pipeline, which in the future will allow Russian gas to bypass two transit states – Belarus and Poland – at once, is due to be brought on line in September. The pipe, in crossing along the bed of the Baltic Sea, has a throughput capacity of 27.5 billion cubic metres of gas per year. Gazprom, the state natural gas company, has already signed long-term contracts to supply gas along the new route, in particular with Germany, Denmark, the Netherlands, Great Britain, Belgium and France. Later, Russia intends to build the South Stream pipeline, which will enable it to bypass another transit state – Ukraine. The grain export embargo Prime Minister Vladimir Putin imposed in the wake of last summer’s severe drought and the loss of one-third of the country’s harvest has had a serious effect on the world foodstuffs market. Russia’s anticipated return this year to being one of the world’s leading wheat exporters (assuming there is a good harvest) could be an important factor in reducing rising food prices. The agriculture business has had quite an incentive to step up its activity – the substantial rise in food prices in Russia has made investment in agriculture more attractive. 4. When will the piggybank be empty? A number of experts believe that the country’s Reserve Fund, which was boosted with excess income from energy exports in the “affluent” years, will be exhausted in 2011. In those days this made it possible to “tie up” excess “petrodollars” and bring inflation down. During the economic crisis a serious deficit occurred in the Russian budget, and this fund, among other sources, helped cover it. Whether the state will be obliged to continue spending its reserves to cover the budget deficit will depend on the price of oil. Alexei Kudrin, Russia’s minister of finance, has calculated that the 2011 budget will be balanced if the price of oil rises to 109 dollars per barrel. Two Russian fertiliser manufacturers – Uralkali and Silvinit – plan to merge in 2011. This will create the world’s second-biggest company after Canada’s PotashCorp. Uralkali and Silvinit, on the one hand, and PotashCorp, on the other, will be able to compete for control of the market through their trading groups. Uralkali’s produce is currently exported by Belarusian Potash Company (which also exports Belaruskali’s produce), and Silvinit delivers its exports mainly through the International Potash Company. It is expected that as a result of the Uralkali-Silvinit merger, Belarusian Potash Company will control 40 to 45% of the world’s trade in potash fertilisers. That is the amount currently controlled by Canpotex, a trader owned by PotashCorp, Agrium and Mosaic. The main stage in the second wave of privatisation is planned for 2011. According to the government’s plans, part of the government’s holdings of shares in the 10 biggest state corporations, including the country’s two leading banks – Sberbank and VTB – and Rosneft oil company and others, will be sold over the next three years. The total income for the state budget from privatisation this year is planned to be around 10 billion dollars, which should cover approximately one-sixth of the planned deficit in the federal budget. 2011 will be the year of international market expansion for a number of major Russian companies that regard the IPO market as an opportunity to attract cheaper financial resources and also strategic investors to their business. These include organisations controlled by the aluminium magnate Oleg Deripaska. Some analysts are hoping that 2011 will see IPOs and SPOs in Russian companies amounting to 25 to 30 billion dollars, and a doubling in the number of innovative companies which are able to attract “strategists” to their business. Despite the unsuccessful launch of the rocket carrying the latest satellites of the planned orbital group, Russia’s GLONASS will go on line in 2011. This year, too, AvtoVAZ, the biggest Russian car manufacturer, is planning to start mass production of the Lada Priora and Lada Kalina passenger cars with built-in GLONASS/GPS. Glonass equipment is currently being fitted only to transport monitoring systems, emergency service vehicles, tracking systems and corporate systems. In 2011 Russia will begin to “clear” the frequency bands in order to build mobile communications networks to LTE standard. The government’s decision to allocate radio frequencies for high-speed 4G mobile communications networks in the 2.3 – 2.4 GHz band to the Ministry of Defence indicates, experts believe, that the new Osnova Telekom company is entering the market. Its business, and also competition between the members of the “big three” for frequencies in the 790 – 862 MHz and 2.5 – 2.7 GHz bands and the “clearing” (i.e. expensive conversion) of these bands, will be the main trend in the mobile communications market. 2011 is a key year in terms of the influence of big-time politics on the economy. This year there will not only be Russian parliamentary elections, but it will also become fairly clear who will take the leading posts on the key committees. In 2011 the main candidates for Russian president will be decided: the presidential elections post will be held at the beginning of 2012.